If you’ve been putting off doing a load of laundry, it could be an idea to stick it on now. We’ve all heard the expression “sleep tight, don’t let the bedbugs bite”, but there could be a way of stopping this from happening. Far from being a fictional creature, bedbugs are small blood-sucking insects that live in cracks and crevices in and around beds. 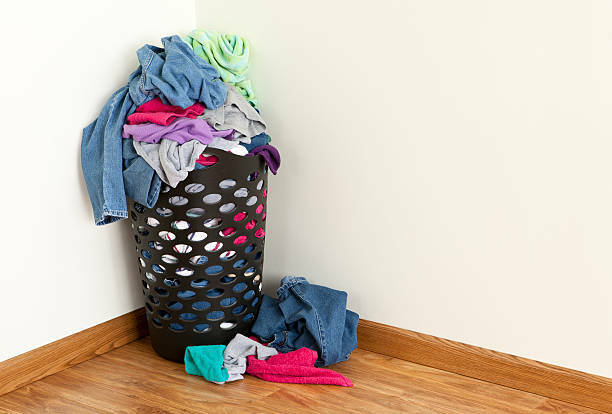 They crawl out at night and bite exposed skin but it seems that dirty laundry could be a major cause of the problem. Although they end up in beds, to feed on blood, new research has suggested that the problem could start in your laundry basket. 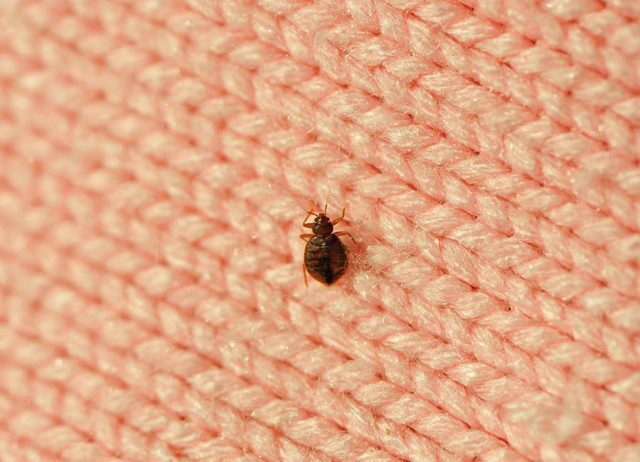 An experiment, led by the University of Arizona, found that leaving worn clothes exposed in sleeping areas when traveling may facilitate the dispersal of bed bugs. The insects commonly find their way into clothes and luggage but are twice as likely to aggregate on bags containing soiled clothes compared to those containing clean clothes. Four tote bags of dirty clothes were placed – two containing soiled clothes, two with clean clothes – in the presence of bed bugs. Both the rooms were temperature controlled but only one room received an increase in carbon dioxide concentration to stimulate the effect of a human breathing. The study concluded that, in the absence of humans, bed bugs were twice as likely to head for bags containing soiled clothes. One of the most common questions we get is, “I’ve got bug bites, does that mean I have bed bugs?” This can be especially concerning if you notice bites on your children and aren’t sure where they came from. Here is what you need to know about bedbug bites. Most bedbugs feed exclusively on human blood to grow and survive. Phoenix bed bugs do not feed every day, so depending on how many bedbugs are living in your home, you may not have new bites consistently. While bed bugs are most active at night, they are not exclusively nocturnal. What attracts them is the warmth, moisture and carbon dioxide released from warm-blooded animals, according to Purdue University. If you or your family are being bit by these bed bugs, you’ll most likely find the bites on exposed areas of the body like your face, neck, arms and hands.The problem is, bedbug bites can look very similar to other bug bites you might find in or around your home, like fleas or mosquitos. 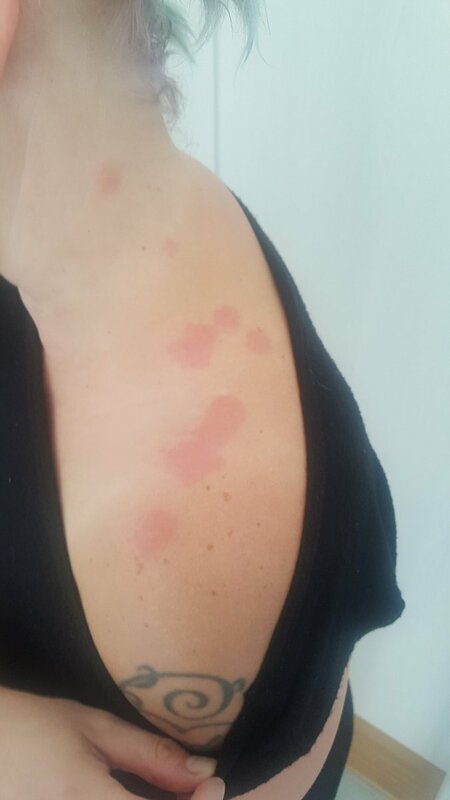 People also react differently to bedbug bites, so they don’t always look the same. Luckily, while bed bug bites may cause allergic reactions in some people that do need to be treated, they are not known to carry other diseases. You do want to avoid scratching any bug bites though because scratching your skin can increase your chances of getting an infection. 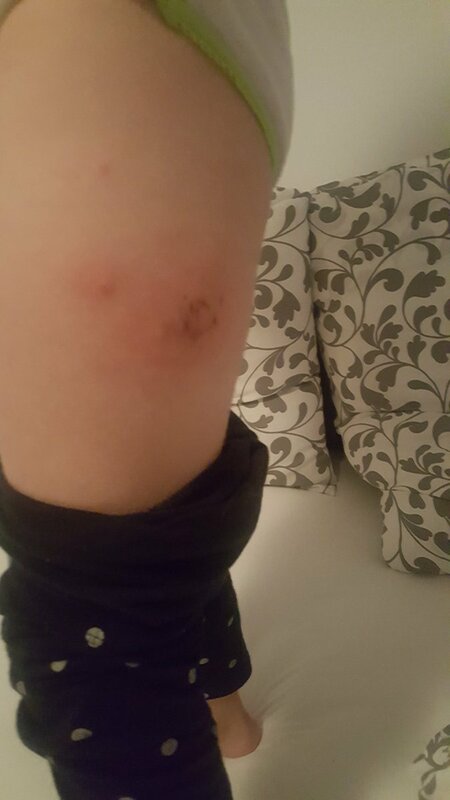 Simply having bug bites is not a guarantee that you have bed bugs. 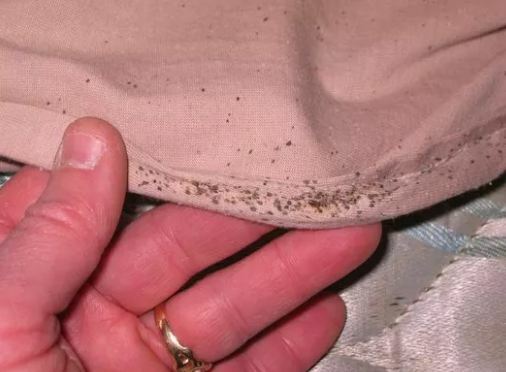 If you notice bites on you or your family and are concerned you may have bedbugs, first do a thorough check of all of your bedding and mattresses, looking not only for live bugs but also looking for tiny black dots that may look like dirt in the seams of your mattresses, pillows, and linens. REQUEST A QUOTE FROM ECO-TECH HERE. If you’re still not sure if bed bugs are biting you, give Eco-Tech a call! We are happy to answer any questions you have, and will provide a free in-home assessment. This is Heather, she was traveling from a vacation with her family when she got bit by bed bugs on the plane ride, and because she had to make her way home, she unknowingly carried the bed bugs into her house which ended up also biting her child.